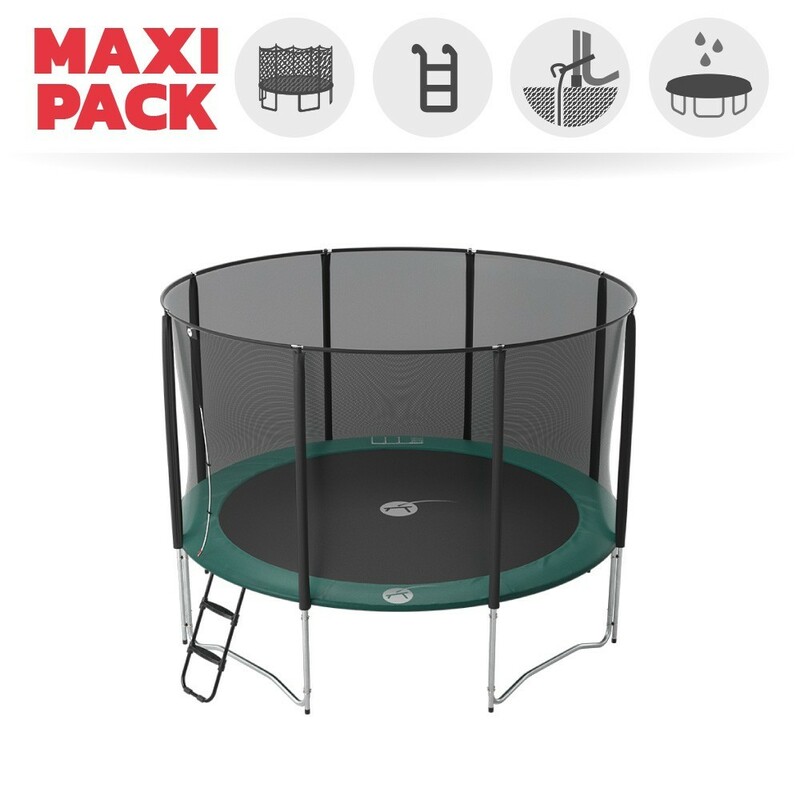 A 12ft Jump’Up 360 with enclosure, ladder, anchor and protective cover: with this maxi pack you will safely make the most of your trampoline! 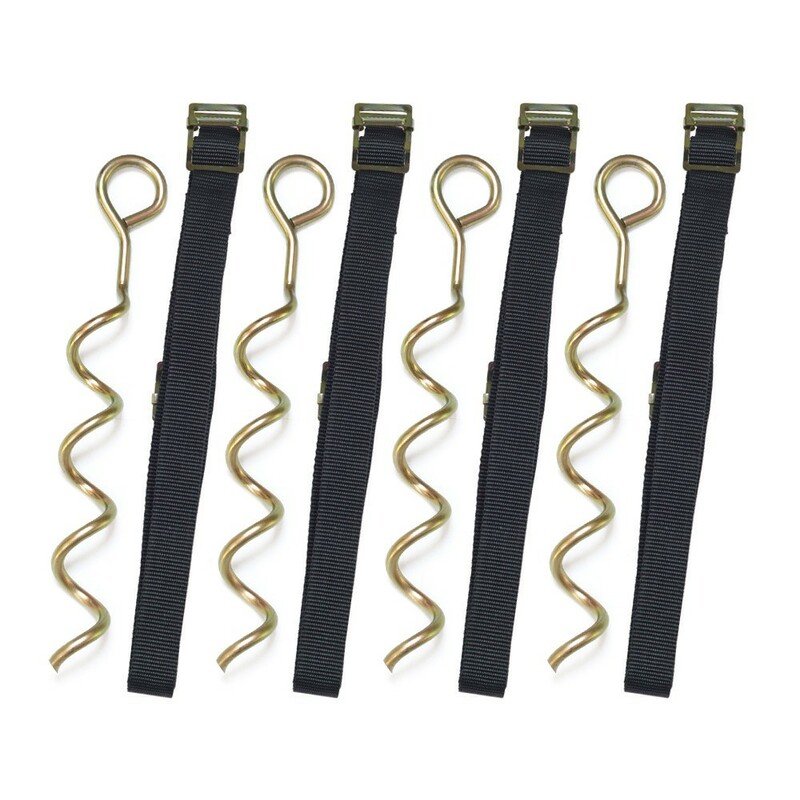 Even better, you can benefit from a discount price when buying the accessories with the pack. 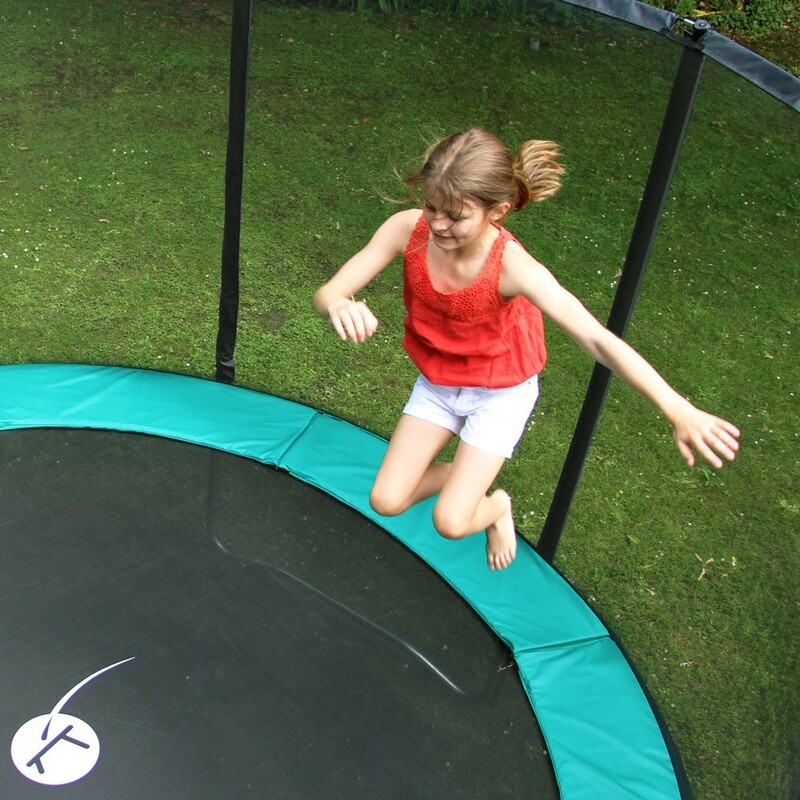 - The Jump’Up 360 is a family favourite: with its 3.66 m in diameter, it provides a great jumping surface, while still fitting in nicely in an average sized garden. 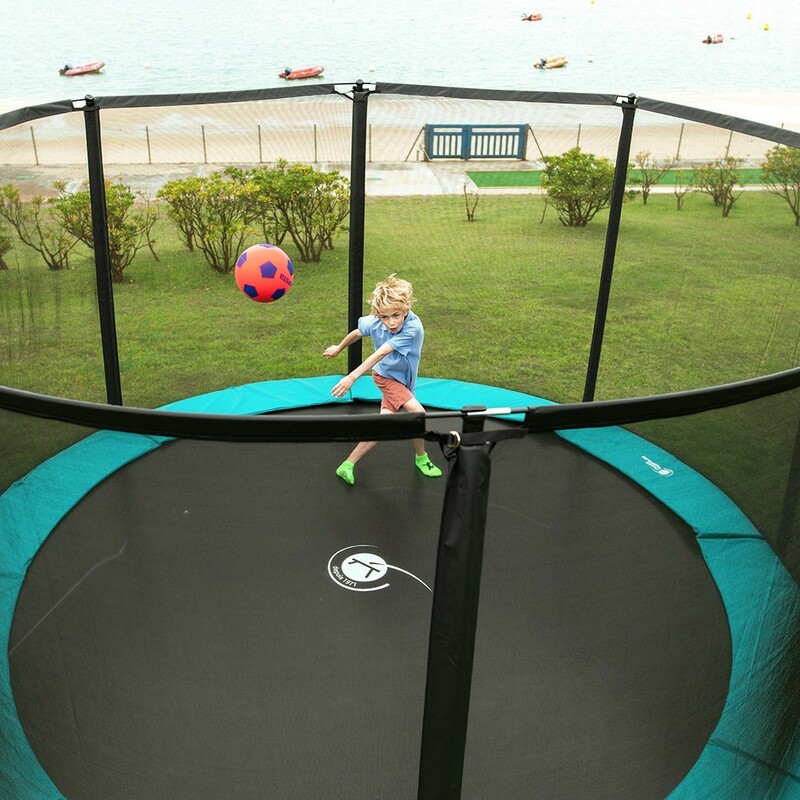 Robust, it withstands a weight of up to 120 kg and allows children and adults to have fun. 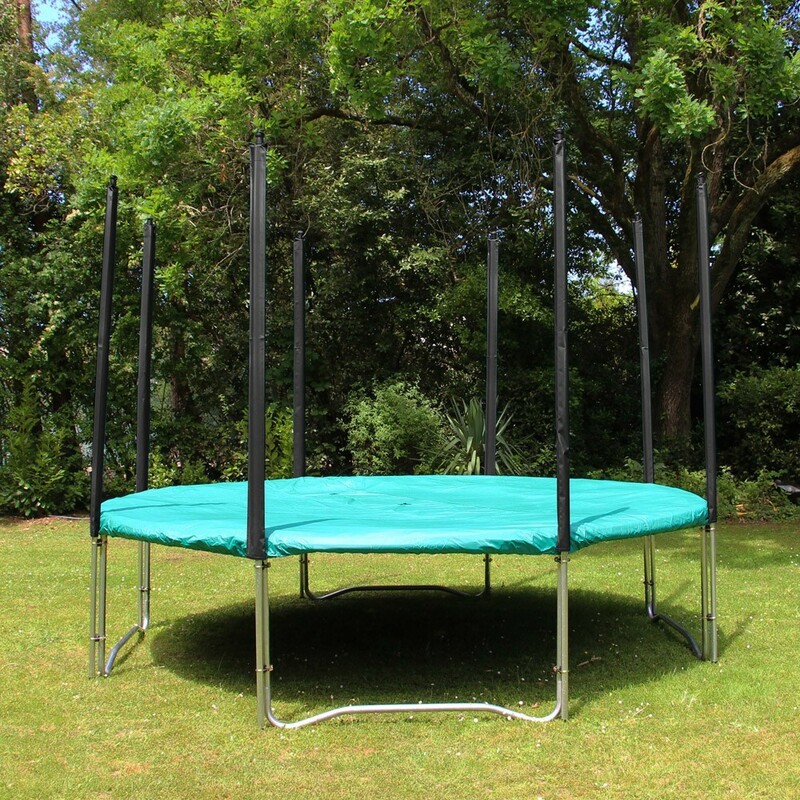 Its galvanised steel structure stops corrosion allowing you to leave your trampoline outdoors all year round. 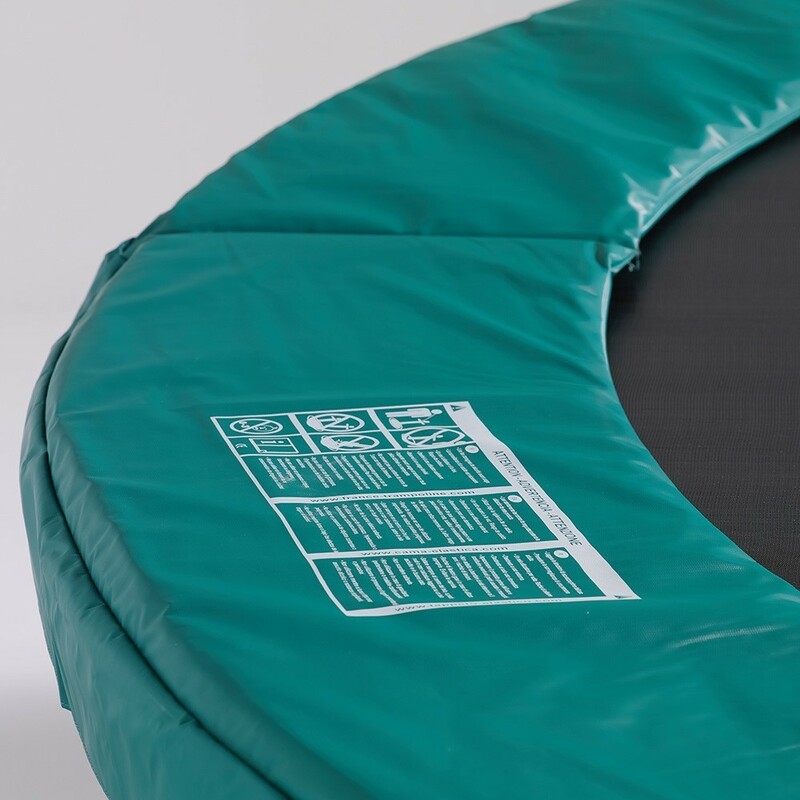 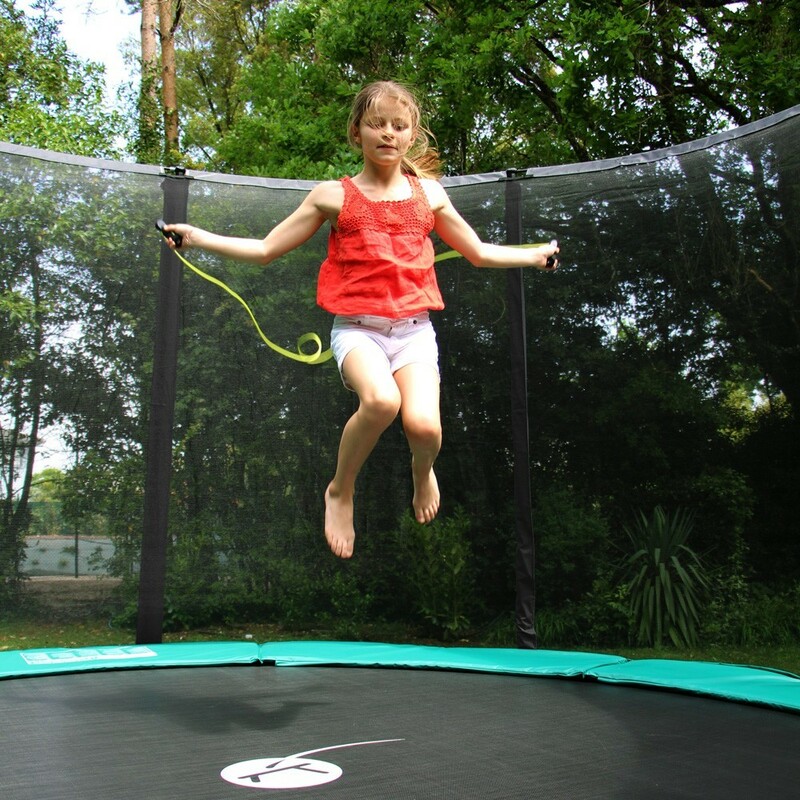 - The black polypropylene mesh jumping mat on this trampoline is UV-light protected. 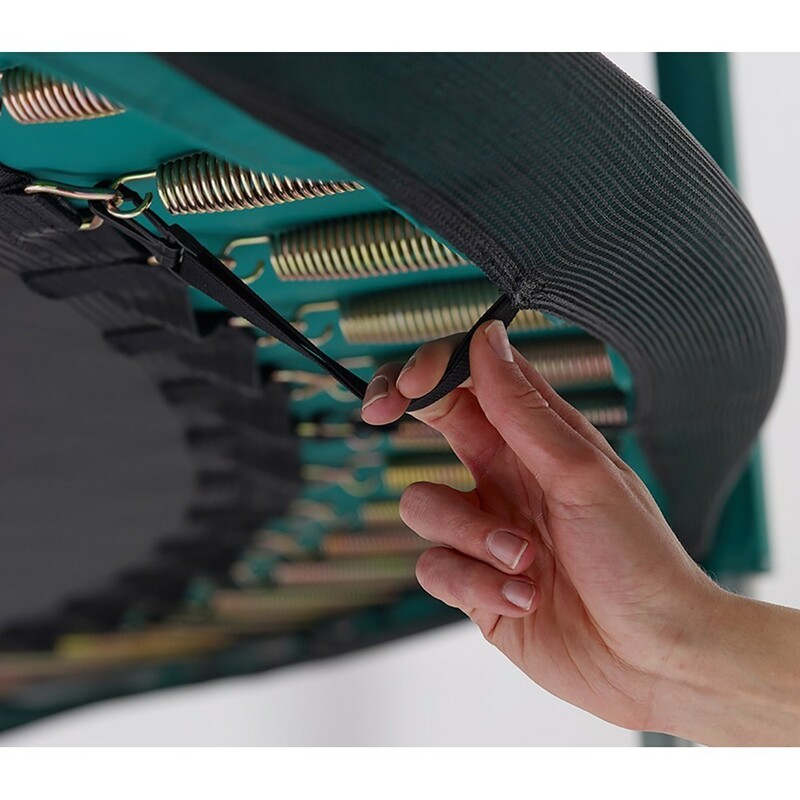 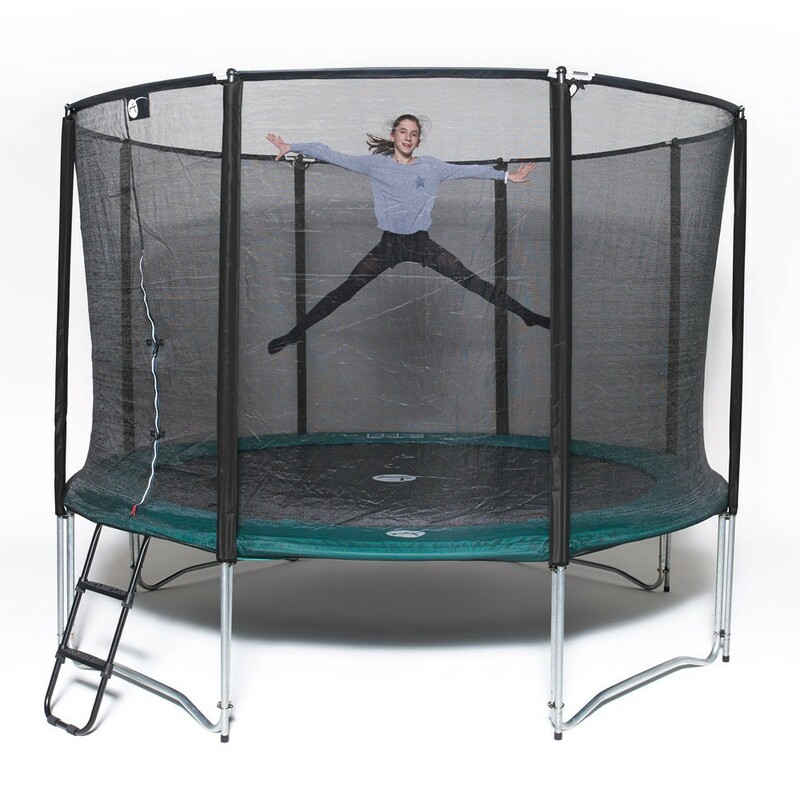 - A 20 mm thick mono-block foam frame pad is also provided with this trampoline. 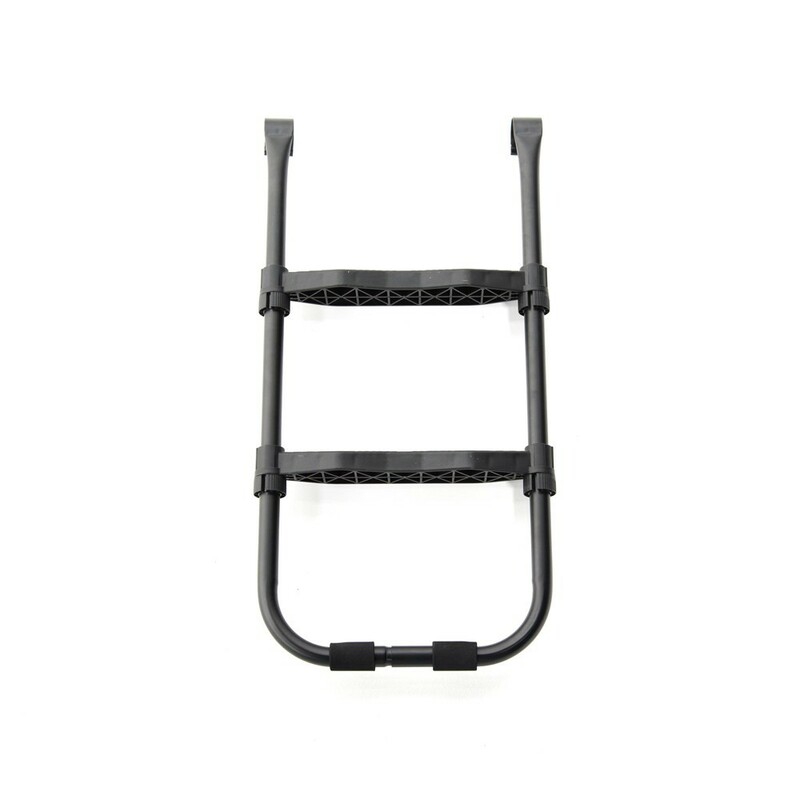 The PVC coating also makes this component UV-light resistant. 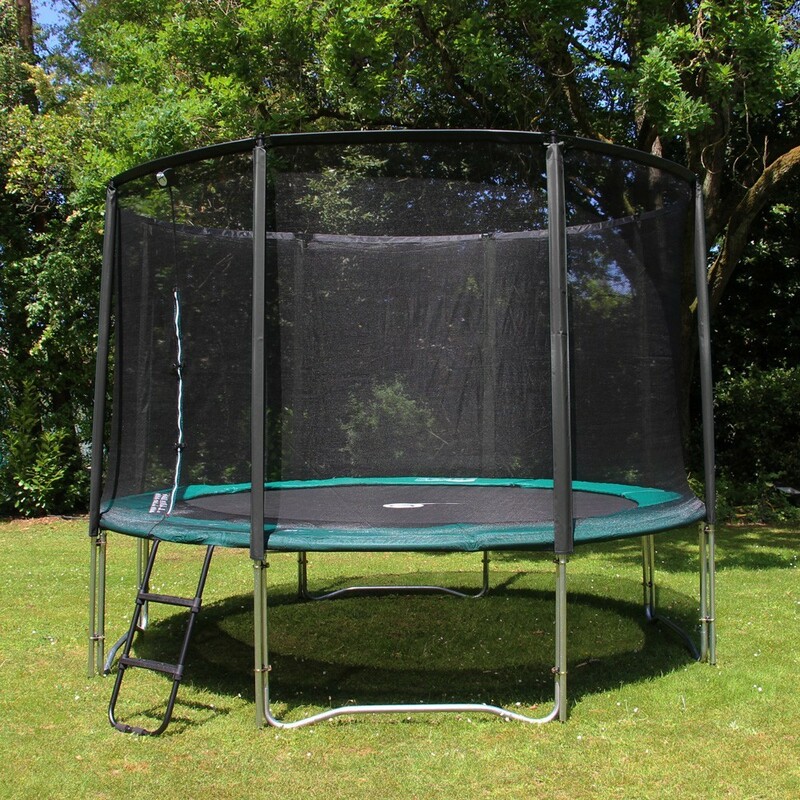 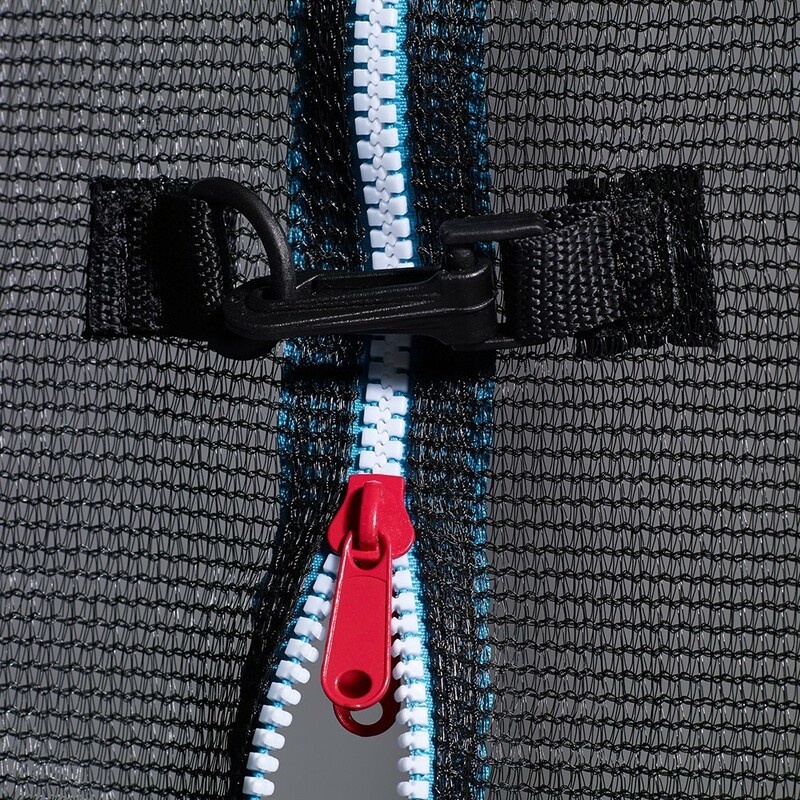 - The safety enclosure is held in place thanks to 8 net posts that stand directly on the ground. 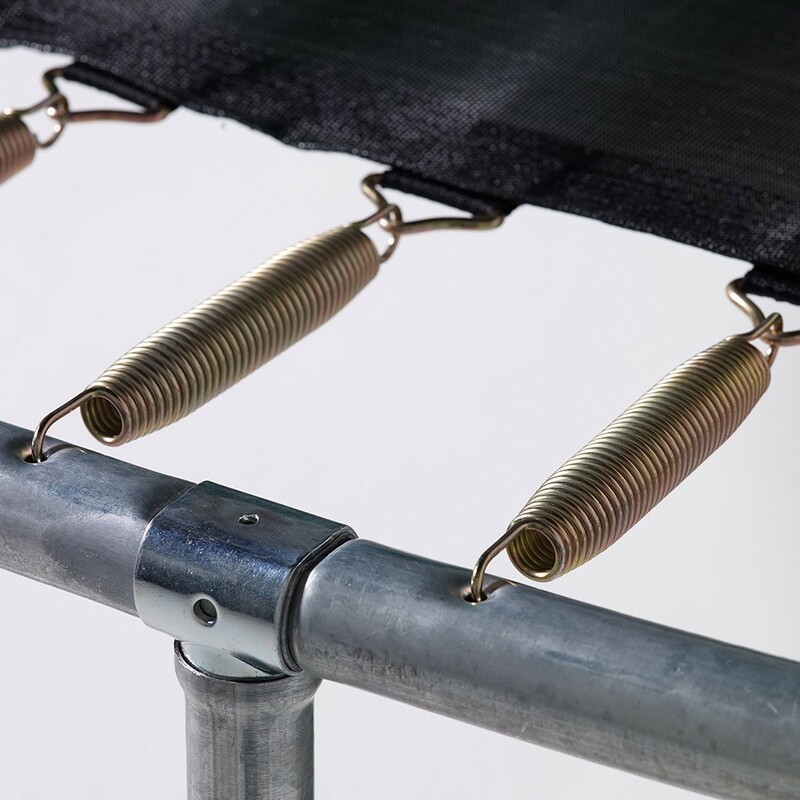 The top of the net is strengthened by a fibreglass rod. 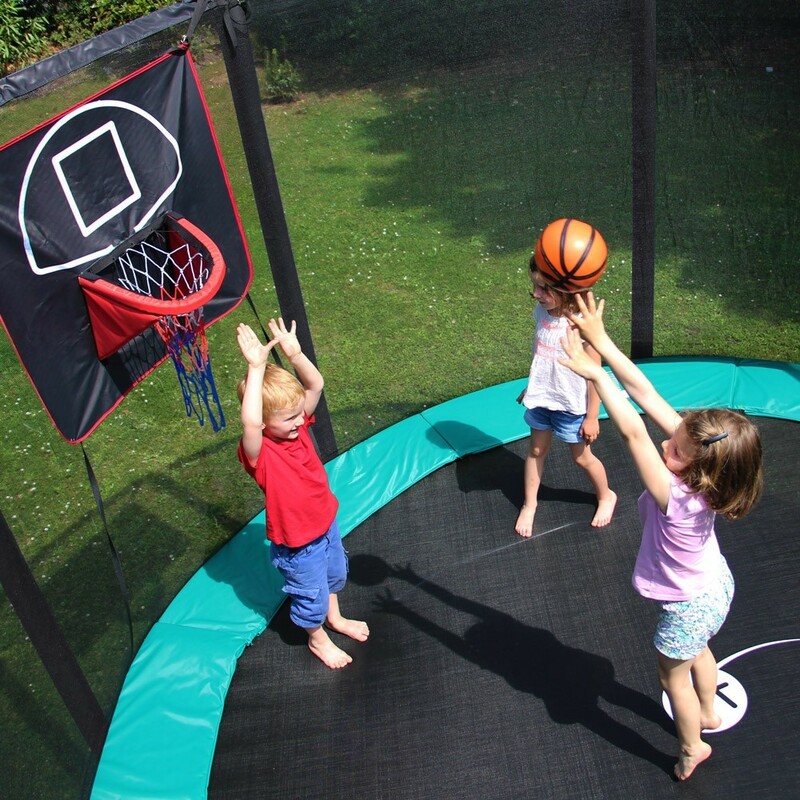 The fine netting will stop young children from getting their fingers caught. 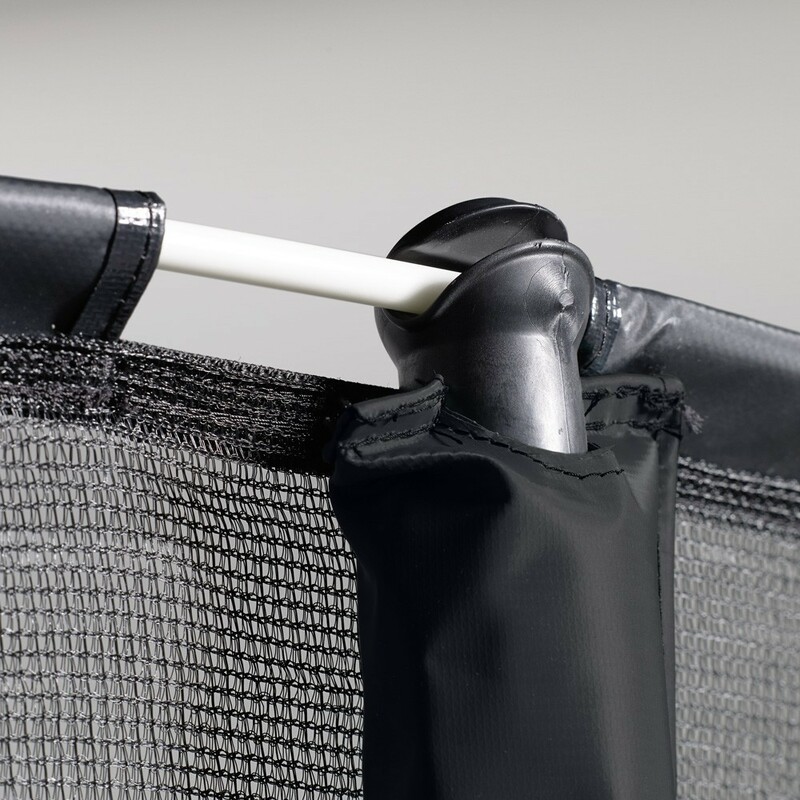 - A protective, PVC coated cover equipped with an evacuation grid to avoid gathering of water. 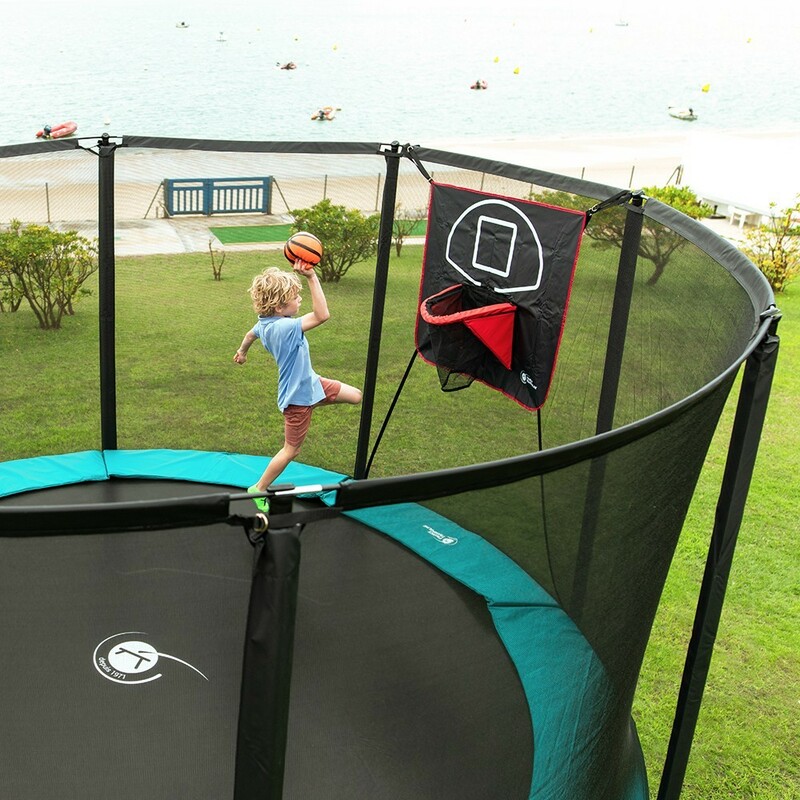 Solide et de bonne fabrication Les enfants sont ravis. 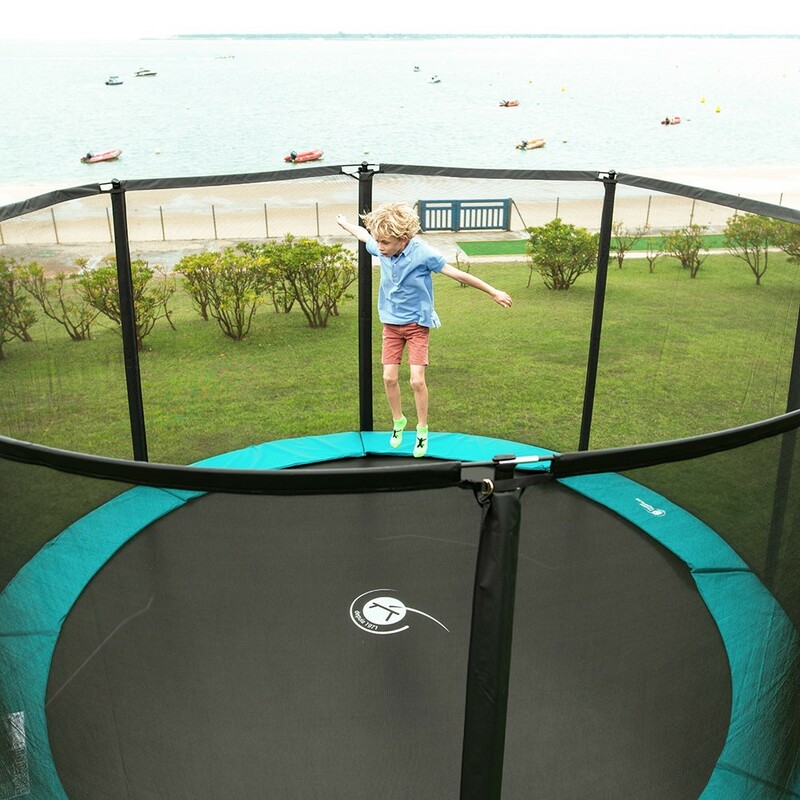 Et les parents aussi! 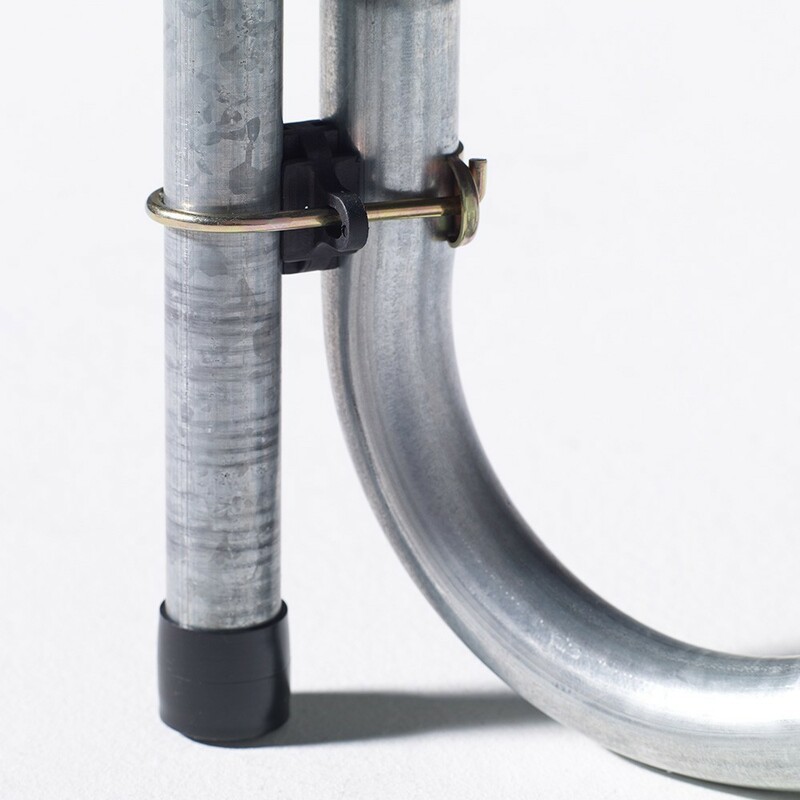 Je regrette juste que les barreaux de l'échelle soient en plastique et je regrette que l'ouverture du filet soit droite en pas en "L". 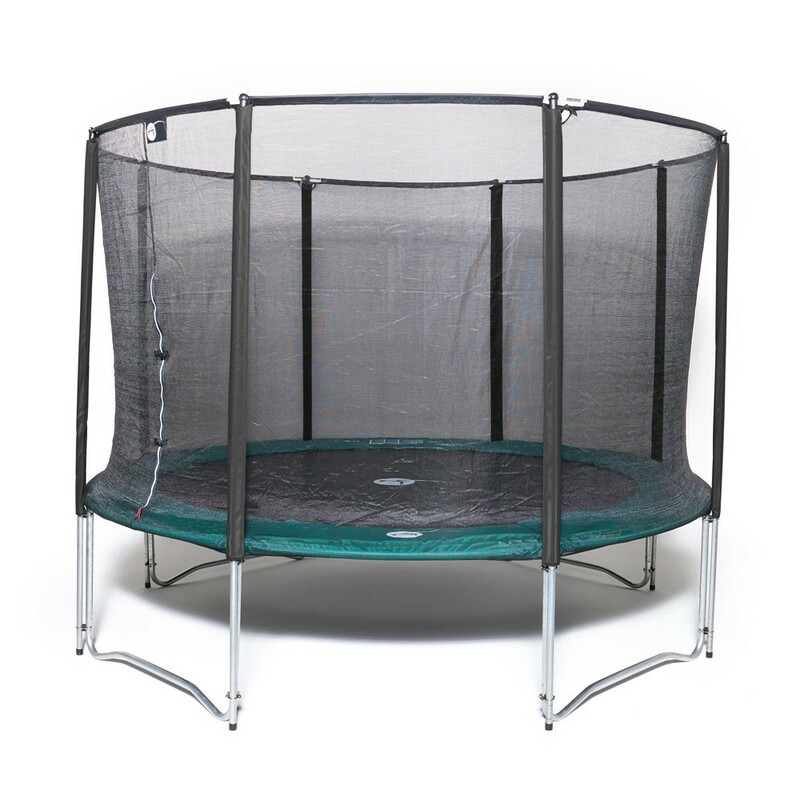 La.ouverture du filet n'est pas très pratique pour sortir du trampoline.